Atlanta is an extremely special place, an incredible city and here at Stand Up Guys we love our city. After all Atlanta is our home. It’s where our roots run the deepest and just one of the many reasons we work so hard to help our community. We do so by donating, recycling and many other things to help clean up our wonderful city and keep it awesome like it is. After all, Atlanta has made us what we are today! 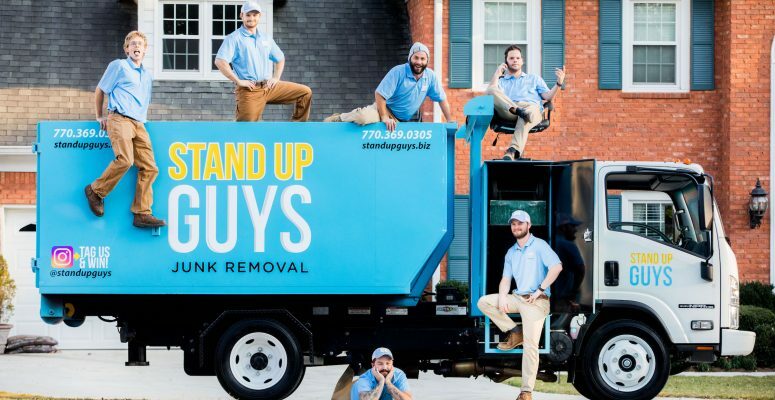 The Stand Up Guys Junk Removal Crew has been building and maintaining our stellar reputation and rapport with the people and businesses of Atlanta for well over a decade now. Stand Up Guys was founded right here in Atlanta in 2008 and we’re still holding strong to our core values that has made us such a staple in the community. 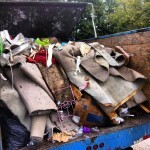 We handle all Atlanta junk removal, hauling and clean out needs. There is simply no one or no other company that compares. The Stand Up Guys have unbeatable customer service and wonderfully affordable pricing. We’ve been considered Atlanta’s favorite, for many reasons, but mainly because of our uniqueness, creativity and attention to our customers needs. You wont find another junk removal company like the Stand Up Guys, we’re just that rare. The city of Atlanta is one of the most beautiful, vibrant, and entertaining cities in the United States. It is also the ninth largest city in America with well over 420,000 people in the city limits and a whooping 5,268,860 residents in all of Metro Atlanta. Because of its amazing climate, young urban population, music/entertainment industry, etc., The A-town has become one of the most attractive cities in America. The city has grown by 1.1 million in the last 10 years and is also one of the fastest growing cities in the country. With an increasing 2.4 million homes, we are one of the few cities in America that hasn’t let the economy hold us down. Atlanta is the #1 business city in the South, with many major business headquarters placed here in the city, including Coca Cola, Home Depot, AT&T, UPS, Delta, Turner and many others. Hartsfield-Jackson Atlanta International Airport has been the worlds busiest airport since way back in 1998. 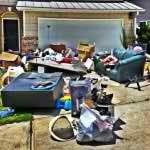 Stand Up Guys Junk Removal Crew are of course, Atlanta’s favorite source for all its junk and clutter removal needs. All 5 million plus residents have Stand Up Guys at their disposal, for all their junk hauling and clean out needs. We offer the residents and families here a valuable, dependable, and customer friendly junk removal service. We have our central location right in the heart of the city, so just look us up at 1773 Monroe Dr NE Atlanta, Ga 30324. Stand Up Guys are Atlanta Junk Removal! Fun Fact: Atlanta has the largest percentage, and population of trees of all the Major Cities in the U.S. Atlanta is a whooping 36% trees, while the national average is less than 27%. This is why National Geographic named Atlanta a “Place of a Lifetime.”.